Kettlebell Sumo Deadlift High Pull is an explosive exercise that works the glutes, hamstrings, hip flexors, lower back, upper back, traps and posterior deltoids. It also engages the core muscles to stabilise the upper body and support the lower back. 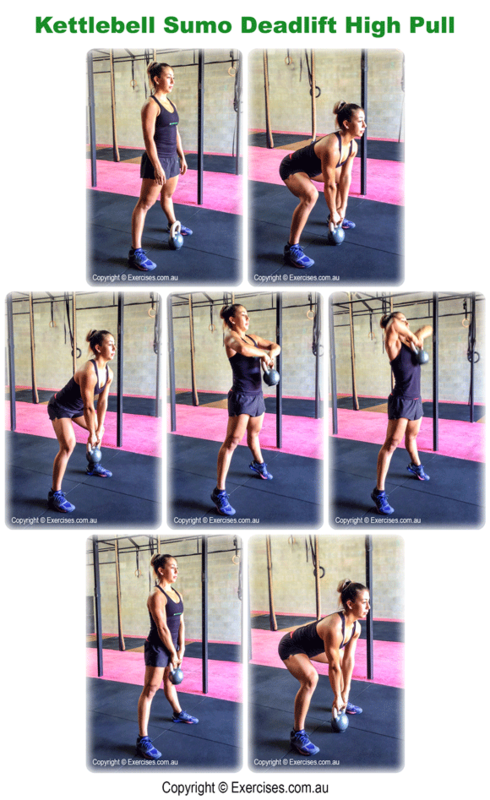 Kettlebell Sumo Deadlift High Pull will build power, speed and mobility. 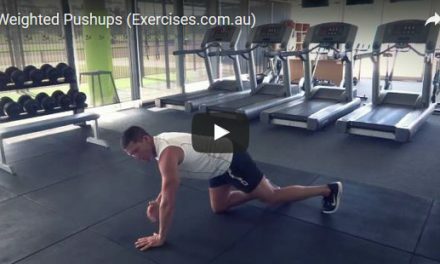 This exercise can be used as part of an interval program designed to develop conditioning. Push your heels through the floor and extend the knees to bring the kettlebell right at knee level. Drive your hips forward explosively and high pull the kettlebell up toward the clavicle area with your elbows pointing at the ceiling. On return, bring the kettlebell down to your hips before bending at the hips and knees to place the kettlebell on the floor. The first common fault on the Kettlebell Sumo Deadlift High Pull is starting the exercise with a rounded back. This places tremendous strain on the lower back area. Another common fault is locking out or straightening the legs on the initial pull. This may compromise your lower back, strain your hamstrings and slow down the speed of the exercise. Finally, using muscle strength to bring the weight up can injure your lower back, shoulders and elbows. It will also reduce the speed of the exercise.